This week we did not find any new releases. Instead we have two mini-reviews. Summary: “If they do come here, they’ll show us no mercy,” thirteen-year-old Evangelina overhears her father say as she gathers eggs in the chicken pen. Back at the house, Mamá brushes away her fears of revolutionaries. There are even more chores than usual to be done at Rancho Encantado because her sister’s quinceañera celebration is rapidly approaching! It’s the summer of 1911 in northern Mexico, and soon the de León family learns that the rumors of soldiers in the region are true. 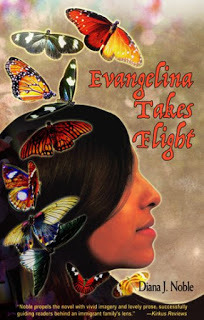 Evangelina’s father decides they must leave their home to avoid the violence. The trip north to a small town on the U.S. side of the border is filled with fear and anxiety as they worry about loved ones left behind and the uncertain future ahead. Life in Texas is confusing, though the signs in shop windows that say “No Mexicans” and some people’s reactions to them are all-too clear. At school, she encounters the same puzzling resentment. The teacher wants to give the Mexican children lessons on basic hygiene! And one girl in particular delights in taunting the foreign-born students. Why can’t people understand that—even though she’s only starting to learn English—she’s just like them? With the help and encouragement of the town’s doctor and the attentions of a handsome boy, Evangelina begins to imagine a new future for herself. This moving historical novel introduces teens to the tumultuous times of the Mexican Revolution and the experiences of immigrants, especially Mexican Americans, as they adjust to a new way of life. Review: Evangelina is part of a loving family and she enjoys the quiet predictability of their days. Her older sister thinks where they live is boring and wishes to go to someplace like Paris, France, but Evangelina sees the beauty there and never wants to leave. With the revolution coming closer and closer to their home though, her family leaves for safety. Evangelina has a tender heart and is often helping those around her be they family or strangers. That makes it even more puzzling to her that the people in Texas glare at them, insult them, and have signs in store windows saying, “No Mexicans.” Evangelina cannot understand how people treat her and her family so poorly without even knowing them. They face a lot of hostility as they try to make their way in this new place. Evangelina has a close relationship with her grandfather. He is a storyteller, but he also encourages her. He tells her to dream and to reach for those dreams. When her family is struggling, she looks for ways to help. She impresses a local doctor and when he offers her a job, she is eager to take it so she can give her earnings to her family. The doctor ends up being a white savior figure, though Evangelina does some of the work to solve problems too. Recommendation: Those looking for historical fiction will find this a way to get a glimpse into Texas/Mexican relations in the early 1900s. It would be a nice one to pair with Guadalupe Garcia McCall’s Shame the Stars which also takes place during the Mexican Revolution. Summary: This novel follows a young Chicano artist who develops his craft while dealing with the daily struggles of his family, community and his own addictions. Review: Victor keeps explaining that he is not a cholo. He’s not the thug everyone seems to see when they look at him. His mother, teachers, and many people in his life keep labeling him a cholo based on his appearance since he’s brown skinned and wears clothes people associate with gangs. That’s not how he sees himself though. He sees himself as an artist before anything else.He just wants to be himself and be seen for who he is and not who people expect him to be. Victor has a few people in his life who see potential in him and they encourage his art and help him to dream and see past the present. He loves to draw and create. He even creates in the kitchen. He enjoys making food and feeding people his creations. His art and cooking are things he can hold onto when things around him are taking a turn for the worse. 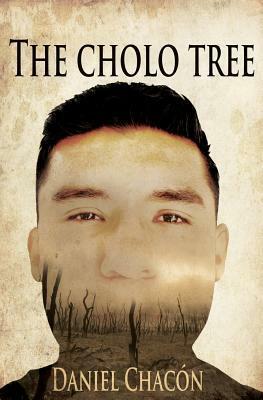 The Cholo Tree takes a good hard look at perceptions and assumptions and how those can be at work in someone’s life. This book is harsh and raw at times as Victor struggles to get a vision of who he is and who he wants to be. There are deep moments of introspection and philosophy, but there are also some playful times. Victor has imaginary friends. Yes, this fourteen year old boy has an imaginary chef helping him with his cooking. Sometimes the imaginary bits seemed a little out of place in the midst of things like gang shootings, but it mostly worked. Recommendation: Get this one someday if you like contemporary books with an interesting character. Victor has a lot of layers. The writing isn’t always smooth, but Victor’s story is compelling.